We love kitchen gadgets that you use every day. 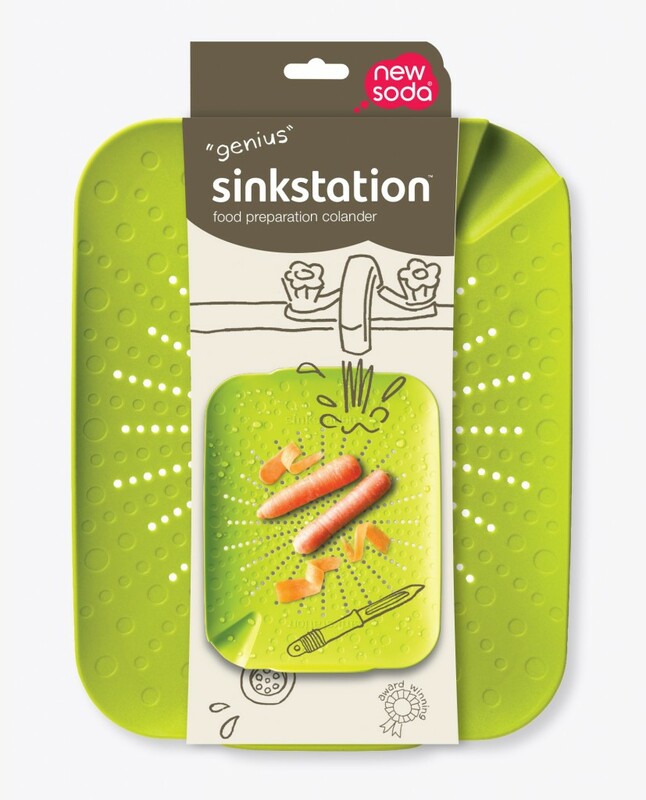 The award-winning sinkstation™ is a revolutionary ﬂat colander made for food preparation with a load of genuinely helpful uses in the kitchen. Originally designed to just catch peelings, (which it does brilliantly), sinkstation™ can also be used to help prepare food which needs to be individually hand washed, drained or defrosted. Organic vegetables (the ones with the mud on), salad leaves, leeks, corn, herbs, berries are all the best washed and prepared on a flat, clean draining surface. The sinkstation™ colander provides this hygienic, removable ‘deck’ at the base of your sink and helpfully allows the excess water to drain away underneath. 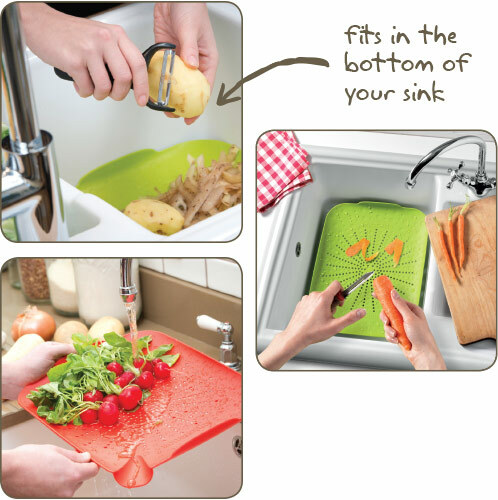 The sinkstation™ colander provides a hygienic, removable ‘deck’ at the base of your sink and helpfully allows the excess water to drain away underneath. Organic vegetables (the ones with the mud on), salad leaves, leeks, corn, herbs, berries are all best washed and prepared on a ﬂat, clean draining surface.